WITH a bright “Wesh meuf!” a French teenager hails a friend in slang that would appal linguistic purists. It is the sort of counter-cultural vernacular usually heard on the concrete estates of the outer-city banlieues, where French youngsters of Arab and African descent have long devised an alternative lexicon. But this greeting comes from a white middle-class girl in a posh high school near Paris. Is mainstream French, whose guardians have traditionally fought contamination, embracing more playful disruption than the purists like to think? The word wesh, from Wach rak? (How are you?) in an Algerian dialect of Arabic, has crossed into mainstream youth culture in all but the snootiest corners of urban France. Meufis a common word in verlan, the French backwards slang that spread in the banlieues in the 1970s and 1980s and which inverts syllables: it upends femme, French for woman. Plenty of other banlieue terms based on Arabic have edged towards the mainstream too, often via rap music, hip-hop or cinema, such as kiffer (to like or love, from kif, the Arabic word for cannabis). This word features in the title of a French novel, “Kiffe Kiffe Tomorrow”, by Faïza Guène. The French embassy even ran a cultural festival in New York entitled “I kiffe NY”. Some words have become so firmly established in mainstream French (avoir la baraka, or to be lucky, from the Arabic for benediction) that they are considered passé by today’s youth. 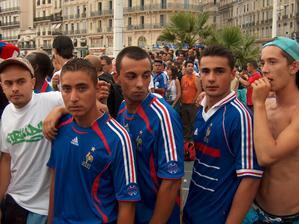 More contemporary street slang includes avoir le seum (to be annoyed, from the Arabic for poison). Other terms have yet to cross over from the banlieue, their incomprehensibility part of their angry charm. Until recently, occasional official appropriations of street slang did not imply real linguistic openness. France maintains strict rules limiting the use of foreign words in advertising, packaging or songs on the radio. In 2013 language inspectors investigated 8,475 cases of linguistic rule-breaking. The Académie Française sees English as the “real menace”, and suggests handy alternative French vocabulary for new offenders, such as mot-dièse for hashtag. Yet to mark French language week earlier this year, Fleur Pellerin, the (South Korean-born) culture minister, gave an important speech in which she applauded “the capacity of our French language to welcome new or foreign words”. Quoting Victor Hugo, she said that French was “not fixed” and that importing and innovating was a source of enrichment. The country’s grand dictionaries now accept some English words, such as le selfie, and some Arabic ones, such as caïd (gang leader). The 2014 edition of “Le Petit Robert” listed chelou, verlan for louche (weird). In reality, French has borrowed Arabic words such as “algebra” and “tariff” since the Middle Ages, and incorporated others, such as bled (village), from the period of French rule in Algeria in 1830-1962. Bred by defiance, street slang by nature resists any stamp of approval, and mutates in response. Since verlan was partly devised as a verbal rebellion against French as the language of colonisation, though, there is something fitting about the ex-coloniser’s language at last embracing the creative result of that revolt. And while we’re on the subject, if you’d like to test your knowledge of up-to-the-minute French slang, Libération has a handy multiple choice quiz you can try, entitled, Wesh, vieux, tu parles le jeune? Follow the link to have a go. A while back, we learned that Joseph-Ignace de Guillotin did not invent the guillotine. Today it’s time to discover that Etienne de Silhouette didn’t invent the silhouette, either. 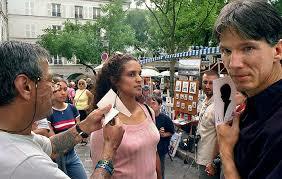 If you go to the Place du Tertre in the Montmartre district of Paris, you’ll probably still get someone try to persuade you to get one of yourself. 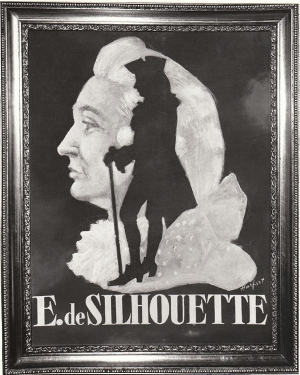 The portraits, and the word ‘silhouette’, originated in the eighteenth century. It’s known that the word is derived from the name of Louis XV’s finance minister, Etienne de Silhouette, but it’s not exactly clear why. Etienne de Silhouette was born in Limoges in 1709. He was to rise to the rank of contrôleur général des finances at the court of King Louis by the age of fifty, thanks to the patronage of the King’s mistress, Madame de Pompadour. He was appointed to the post in March 1759, but didn’t even make it to the end of the year. Attempting to get state finances into better shape, he advocated cutting spending, getting rid of loopholes that allowed rich state officials to avoid paying tax, and imposing a touch of austerity on the lavish spending of the royal court. This last proposal in particular didn’t go down too well, and he was booted out of office in November of that year, retiring from public life to live on his country estate for the rest of his days. Silhouette’s attempted reforms led his enemies to call him a skinflint, and his name was soon associated with meanness and frugality. Apparently, breeches without money-pockets were known as ‘culottes à la Silhouette’ at the time. 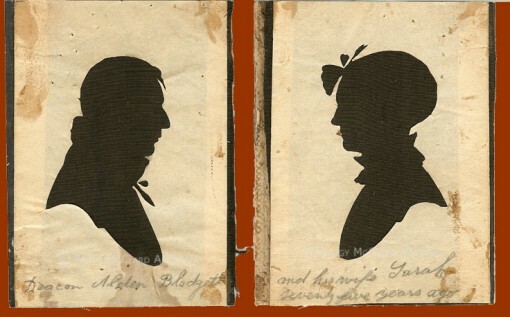 It’s been claimed that this is the reason Silhouette gave his name to the shadow-portraits, either because they were a ‘portrait-on-the-cheap’, or because they thinned people down to a shadow of themselves. That may just be part of the general slander Silhouette suffered after his short-lived stint in control of the nation’s purse strings. Other accounts suggest he was a genuine enthusiast for shadow-portraits, and would sit guests to his home in front of a blank canvas, before using a special lamp to project their shadow onto it for him to draw around. 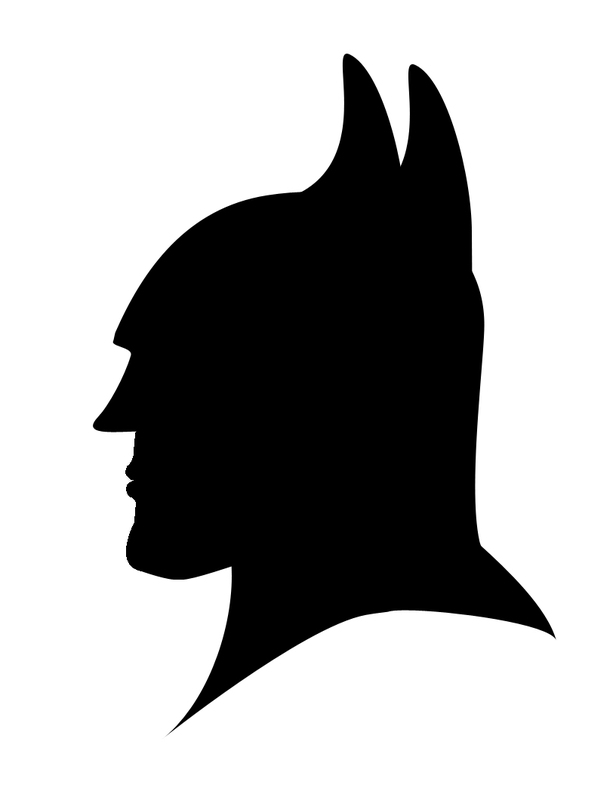 Either way, whether he was an enthusiast for the craft or a victim of some very roundabout insult, it’s unlikely that Silhouette was the inventor of the technique. 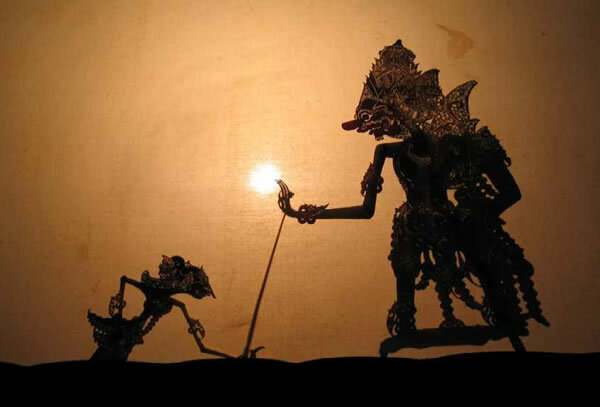 For starters, shadow puppets have been in use in south-east Asia for at least a thousand years, and it’s known that these ‘ombres chinoises’ reached Europe at around the time we’re talking about, where they became generally popular. As with Guillotin, it seems, the famous name gets the credit, and the real inventor, whoever they may have been, is lost in the shadows. It wasn’t Scandi-noir that brought foreign-language drama to British TV and helped the Great British Public finally overcome their subtitle-phobia. 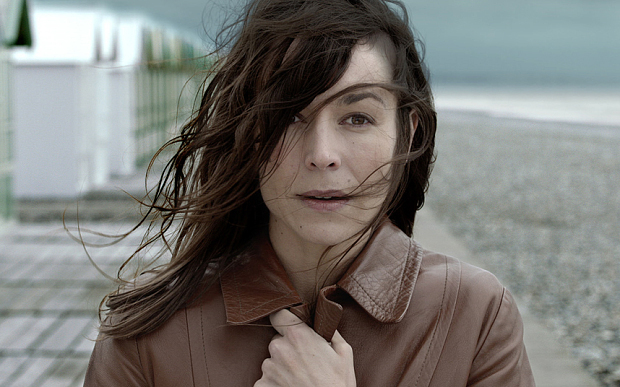 When the BBC first showed the all-conquering Danish drama The Killing in 2011, they screened it in the Saturday evening BBC 4 slot that was already home to cult French police drama, Spiral, which was arguably the real ground-breaker in bringing foreign TV to UK audiences. Where they started, others followed, and now, along with five seasons of Spiral, there have been at least three other French dramas fitted up with English subtitles and broadcast over here. What’s more, they’ve all been successful enough to get released as DVD and Blu-ray box-sets, as well as being available on various streaming services. If you can cope with French TV without subtitles, then there’s obviously masses of material out there to choose from. (The long-running sit-com, Fais pas ci, fais pas ça, or the sweeping saga of German Occupation, Un village français, are two that are worth a look). But if English subtitles are what you need, then Spiral, Braquo, The Returned and Witnesses are here for your enjoyment. The four series all tend to specialize in the gritty and/or terrifying. They’re all most definitely post-watershed, and not for the faint-hearted, as you can tell from the trailers below. Spiral (the French title is Engrenages, which means cogs or gears, but also has the sense of being caught in a trap or a vicious circle) follows a single case through each season, as Laure Berthaud and her team hunt murderers, terrorists and organized criminals, while unscrupulous lawyers and judges play power games above their heads. The first five seasons are available on DVD, and Season Six is currently in production. Braquo is another police drama with murky moral boundaries and some shocking violence. Four police officers will stop at nothing to clear the name of their colleague, hounded to suicide by false accusations. Three seasons of it were shown on Sky. Probably the biggest TV phenomenon, though, was The Returned (Les Revenants), the supremely spooky supernatural drama shown by Channel 4 last year. In an isolated Alpine town, loved ones start returning to their families. They’re in good shape, ravenously hungry, and feeling more or less fine, if suffering from a bit of memory trouble. The only problem is, they’re dead. Even the trailer is terrifying — watch it if you dare! And most recently, there has been Witnesses (Les Témoins), another detective drama, but with more of the otherworldly creepiness of The Returned than the gritty urban feel of Spiral and Braquo. Someone is grave-robbing in the little Normandy town of Le Tréport, and breaking into new-build show-homes to arrange the bodies in grisly parodies of family life. There’s also an escaped killer on the run from a nearby prison, and it all has something to do with the detective who caught him, whose photo is left at one of the show-homes. It was a hit on British TV last month, is due out on DVD in October. We’ll talk about each of them in more detail in future posts. In the meantime, with French TV drama in something of a golden age, there’s no better time to get stuck in. PS. And now there’s another one! Resistance, a TF1 drama about teenagers involved in the French Resistance during the Second World War Occupation by Nazi Germany, is currently showing on More 4, and available online here. Chaque semaine, des milliers de migrants tentent de traverser la Manche par le tunnel qui a fini par être ouvert en 1994. Ces aspirants voyageurs sautent par-dessus les tourniquets—ou, plus précisément, franchissent les immenses grillages proches de l’entrée du tunnel aux environs de Calais, en France. Dans des scènes dignes du pire cauchemar de John Bull, réfugiés, demandeurs d’asile et migrants économiques essaient désespérément de sauter à bord de camions à destination de la Grande-Bretagne et, espèrent-ils, d’une vie meilleure (en clients avertis, les migrants savent que la vie, en tout cas lorsqu’elle est évaluée en termes d’emploi et de statistiques économiques, est plus douce dans le pays de Shakespeare que dans celui de Racine). 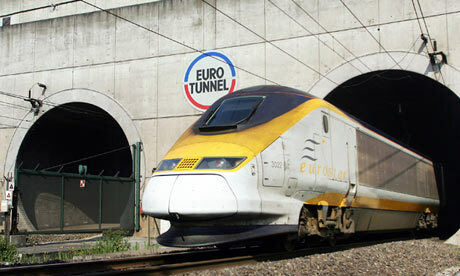 Comme il était à prévoir, les événements de Calais ont déclenché les mêmes peurs incontrôlées et le même langage désinhibé qui bardait les premiers débats britanniques autour du tunnel. Fin juillet, dans un article orné de photos de gendarmes français échouant à regrouper des migrants ou se contentant de les regarder courir sous leur nez, le Sun a braillé «Les Frenchies sont atroces!» Pour ne pas être en reste, le Daily Mail a claironné que le cri de ralliement des migrants était: «C’est l’Angleterre ou la mort», et le journal en a profité pour exiger de savoir quand le Premier ministre David Cameron entendait «agir». Les tabloïds, jouant sur les souvenirs de 1940, ont raillé la lâcheté de la réaction française devant la vague de migrants tentant d’entrer dans le tunnel et appelé le gouvernement britannique à faire intervenir l’armée. Se déclarant «très préoccupé» par la situation à Calais et plus particulièrement par les kilomètres de camions attendant sur les autoroutes anglaises de pouvoir entrer dans le tunnel, poussé à la fois par les problèmes de sécurité qui se posent dans le tunnel et par les équipes en grèves dans les ferries français, Cameron semblait également soucieux de la réaction de la France. Il a tapé sur les doigts des Français, évoqué les sommes—plus de 4,7 millions d’euros— déjà dépensées par son gouvernement pour renforcer le réseau de sécurité autour de l’entrée du tunnel côté français, et promis d’affecter 10 millions d’euros supplémentaires à la sécurité du tunnel. What’s it like to be fluent in more than one language? What language do bilingual people dream in? Are they more emotional in their one language? More rational in another? How does stand-up comedy work in India, when performers and audience members may speak English, Hindi, Tamil, Urdu or several other languages, and not necessarily the same ones? And most importantly, what’s it like to be employed to watch entire seasons of MTV reality show Geordie Shore, translate all the dialogue into your native language, and then try to boil it down into coherent subtitles? 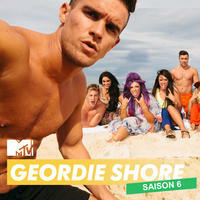 Yes, Geordie-Shore-Subtitler is a real job, that actual people are doing across Europe right now at this very minute. Would you like to meet one of them? And would you like to find out how “I should have a degree in pulling women” comes out in German subtitles? Well, all these questions are answered here. 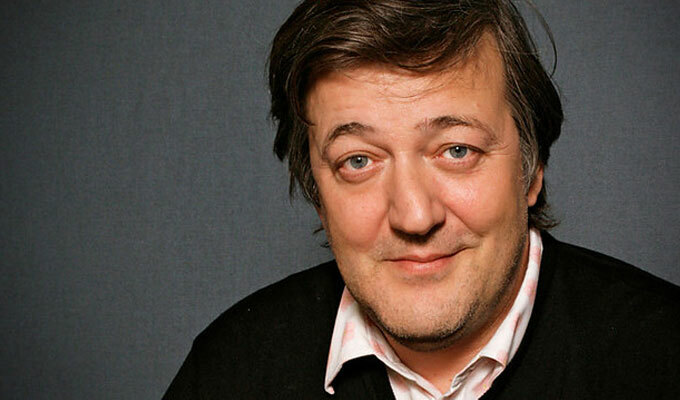 It’s an episode of the BBC Radio Show, Fry’s English Delight called English Plus One, in which Stephen Fry looks at bilingualism, and talks to people who combine English with another language. He finds out what it’s like to live in two languages at the same time, and also why it might be a good idea to pick up a second language and become bilingual yourself. The programme is thirty minutes long and available to listen to (in the UK at least) until the end of September. Geordie Shore in German is around twenty minutes in.